David Farrar OBE CEng MA FRAeS HonFIED: in this article David Farrar, the only surviving director of Bristol Aircraft, explains how the company was saved financially by the guided weapons' programme. For more than fifty years it has been a closely kept commercial secret that in the late 1950s Bristol Aircraft Ltd. would have been legally bankrupt but for one thing. Without that, there would have been multiple redundancies, and in the prevailing climate the company might not have survived afterwards. The Company did survive, and was able later to join the British Aircraft Corporation as a junior partner. It would not have been able to do so but for one thing. With the passage of time these matters can now be disclosed – which, as the only surviving Director of Bristol Aircraft, I now do. It is the story of Bristol Aircraft and Bristol Guided Weapons. Without the other, neither would have survived the 1950s. When I joined the Company in 1941, to work on the design of military and then civil aircraft, the Battle of Britain had just been won by the Royal Air Force, despite the bombing of its radars and airfields. Bristol continued having to endure night raids, against which the defence was 3.7 inch guns and rockets operated by the Army. I was one of the volunteers who ran the system at night to give them some sleep. It started with searchlights, a simple computer, one man slewing the gun, one elevating it, one setting fuze times [a fuze is an ignition device, more sophisticated than a standard fuse], one to fire the gun (which cost me the hearing in my right ear). Soon we had radars, a better computer, automatic slewing and proximity fuzes. The system was easily moved to the East Coast and was marvellously successful against the horde of V1 weapons arriving every day, which the Royal Air Force (RAF) found difficult and dangerous to cope with. 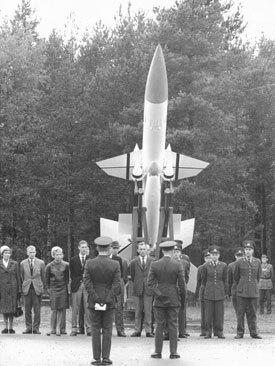 After the war the Ministry of Defence studied guided weapons for defence against air attack. The Air Force needed a belt of static weapons along the coast, with good range to minimise cost. The Army wanted shorter range weapons as mobile as the guns had been. Thus were born the English Electric Thunderbird guided weapon for the Army, and later the Bristol-Ferranti Bloodhound for the RAF. I was to be the founder of Bristol Guided Weapons. It was to prove critical to Bristol survival that the Bloodhound, despite all expectations, should be the first into service. Ramjet propulsion dictated an unusual configuration and was unproven. However to get the range we used aircraft proven technology for hydraulic and electrical power rather than fireworks. For the launcher we jumped on proven technology and used the 3.7 inch anti aircraft gun base with its running gear and servos. That gave us transportability; we had replaced the gun by the guided weapon. There were many problems and setbacks in development. The magic ingredient was Bristol Tradition teaming: people being looked after, doing their best and helping each other. We made it, just in time for the Swedes. As a neutral country, Sweden was self reliant on defence and had an excellent policy. Fighters could land on roads anywhere to hide in bomb hardened shelters. They had tried to develop a transportable missile defence system, but unsuccessfully. It took Greville Beale only a short time to make the rest of our system transportable to their requirements. With money in the bank, they negotiated with us and ordered a complete system including radars and first and second line support equipment and workshops. Taffy Higginson negotiated a down payment so huge that Ferranti Wythenshawe worked on negative capital employed for years afterwards. In the late 1950s the main Bristol Board and the Aircraft Board had to give urgent consideration to possible forced marriages with de Havilland and Hawkers, and later with Vickers and English Electric. Bristol was not in a good state in relation to either merger. In a 1993 lecture I recorded that "the Britannia design team was then running down and some staff had transferred to GW. The aircraft's production profit was far short of the launch cost, threatening the company's solvency despite the incoming (hidden) profits from Bloodhound 1 weapon system sales". Had sold all but one of production Britannias, loss of £7-8 million. Progress on SST studies and 188 research aircraft, hopes to produce competitor to VC11 and 121, but needed at least 50% from government. Sandys had to be frank and was "obliged to look unfavourably towards the Bristol solution...The likelihood of the company obtaining government money for the project was extremely remote". "Slattery referred to HSG talks, but they felt there was no point in merging unless good reason, such as the SST contract. He admitted aircraft group was virtually in liquidation. 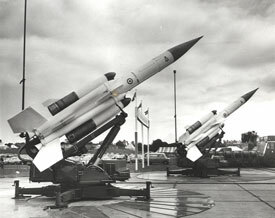 Sandys said he favoured the HSG merger, Bristols also wanted it, but doubted if the terms would be very favourable to his company"
Bankruptcy had in fact been narrowly avoided because we had sold the Bloodhound 1 transportable weapon system to Sweden the year before, and they had made the large down payment at once. English Electric saw the opportunity to eliminate a competitor by closing down Bristol GW and including the Bloodhound with its profits in their own Division, together with other GW acquisitions. Despite its successes and its unique weapon systems capability, the Bristol GW team had no new project and was vulnerable: attempts to eliminate it had previously been made. 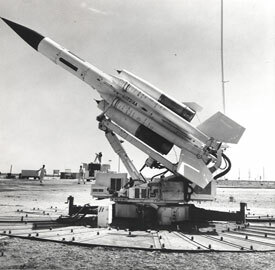 At that time English Electric's guided weapon team had commenced the development of a weapon with second generation continuous wave radar (CW) guidance. 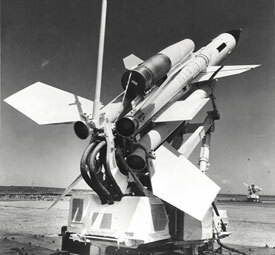 We, with Ferranti who had developed a CW ground radar, rapidly modified a Bloodhound I missile to CW guidance, and when launched it achieved a direct hit which destroyed the target aircraft. The other contractors had not reached this stage, so the longer range road and air transportable Bloodhound 2 was developed for the Royal Air Force, and bought by Sweden and Switzerland. Its advanced features were to give it a very long service life. Bristol with Ferranti became the largest and most successful guided weapons team in the country. Bristol could not have joined British Aircraft Corporation without more money in the bank. Where it came from was another deeply kept secret. It did not come from aeroplane sales or Government contracts. During Bloodhound development Jack Jefferies, the Production Manager G.W., worked with the engineers to simplify the design and make it suitable for economic manufacture. 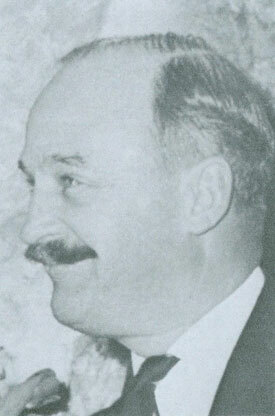 He set up a production factory in Cardiff, trained new operators, and introduced new methods. When Ferranti were having trouble with output, he advised them and their costs reduced dramatically. At both factories, costs fell dramatically below those allowed by the British Government in setting prices. At Ferranti this difference could not be concealed, leading to the Ferranti Affair. They were made to refund a large sum to the Government. For this reason Sir Reginald Verdon Smith arranged for the Bloodhound profits not to be visible in the accounts, and kept them outside the British Aircraft Corporation. His bargaining power was unfortunately not great enough to protect his goose which had laid the golden eggs. 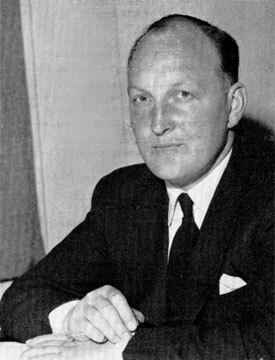 In the British Aircraft Corporation merger negotiations Sir George Edwards also had a weak hand of cards, and was forced to give English Electric a free hand on guided weapons to maintain his own position. He later admitted this and apologised to the author for the effect of this on Bristol GW. On the formation of the Corporation, Bristol Aircraft joined as a junior partner, with all guided weapon work assigned to English Electric. Corporation policy was then for the Bristol GW engineering team to be closed down, with only limited possibilities of employment for its large staff elsewhere in the Corporation. The Bristol GW team fiercely opposed this policy: I and leading engineers refused to be moved, and our reputation was such that a prolonged stalemate ensued during which the team, which had a good reputation with the Government and the R.A.F. based on its achievements, pursued further missile study and development contracts. 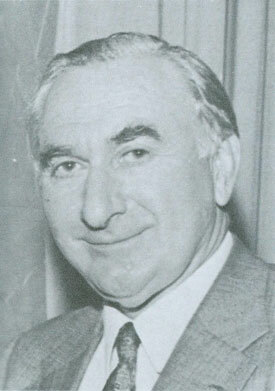 After several months James Harper, the Bristol Managing Director, who was terminally ill at the time, won the support of Sir George Edwards for creating a Guided Weapons Division, comprising the Stevenage and Bristol sites. It would have some Bristol based Directors, initially James Harper and myself. Because of the secrecy, some people who made key contributions to Bristol Aircraft's survival went relatively unknown. I name at Bristol the late Taffy Higginson and the late Jack Jefferies, and at Ferranti the late Norman Searby. Every person drawing a Bristol Aircraft pension owes a debt of gratitude to them. Let us honour their memory. Author's notes: Since writing this article, it has occurred to me that it would be appropriate to give more credit to James Harper, who ensured that guided weapons would continue at Bristol. His premature death robbed British Aviation of a future head of the Corporation. I and all GW staff have good reason to be grateful to him. There are now seventeen Bloodhound sites listed on the internet. Lots of them are live, with people chatting about it all and exchanging memories. See www.bloodhoundmkii.org.uk/bh_links.htm Among them is the Swedish-language website www.skogsborg.se/rb68.html which has marvellous photos not only of the weapon system and how it works, but also its strategic role. As it was the Swedish sale which saved Bristol Aircraft from bankruptcy, pictures of Bloodhound in Sweden are of particular relevance. James Harper was my father. I still have a copy of the photo of him used in the article. Although he never met him, my nephew Andrew is immensely proud of his grandfather’s involvement with the aviation industry, particularly Concorde, which I think played no small part in influencing him from when he was a small boy to want to become a commercial pilot, a course he pursued with single-minded determination.While the content of the article was, not surprisingly, unknown to me, some of the names mentioned were not - particularly Taffy Higginson who was a great friend of the family, and Sir George Edwards, who was extremely good to my father when he was ill and to my mother after he died. The article brought back memories of many childhood visits to Filton, and also explains the year when Dad spent a lot of time on business in Sweden. I still have some Orrefors glasses which he bought back for my mother from one trip. I also have a photo of one of the original Concorde prototypes flying over the Ile de la Cité in Paris which originally appeared in Paris-Match and which was given to my mother by Dad’s French opposite number on Concorde, Louis Giusta. We now live in SW France, about 90 mins’ drive north of Toulouse, and I was delighted to do the tour of the Airbus site at Blagnac a couple of years ago and visit the Concorde they still have on site there. My late grandfather, Wg Cdr Lofty Owen, joined the guided weapons division in about 1956 on his retirement from the RAF, eventually retiring from BAC in 1970. I believe he was a technical author on the Bloodhound programme. I'm working on a biography of my grandfather for family consumption and would love to fill in some gaps about his post-RAF career with Bristol and BAC. Bristol Bloodhound Mk II (Rolls-Royce Heritage Trust). The above portraits are reproduced from Good Company by A.R.Adams, published 1976. James Harper (Bristol Aero Collection). Swedish Bloodhound (Bristol Aero Collection). 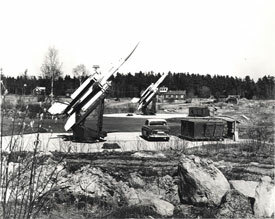 Bristol/Ferranti Bloodhound I surface to air guided weapons on their launchers at a Royal Swedish Air Force Station (Rolls-Royce Heritage Trust). 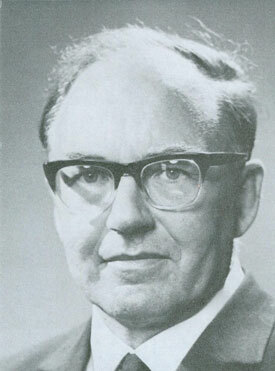 The Bristol Aero Collection has published a booklet providing anecdotes of the life and times of Dr Don Rowley, MD Naval Weapons Systems and Executive Director, Space entitled A Short History of Bristol's Guided Weapons and Space Activities – 1949 to 1986. Contact the collection for further details.